Sen. Baucus Tapped To Be Ambassador To China : The Two-Way If confirmed, the Montana Democrat would succeed Ambassador Gary Locke. Baucus had already announced he would not seek re-election next year. An early departure gives Montana Gov. Steve Bullock, a fellow Democrat, the chance to appoint another member of their party to serve out the term. Confirming one of the week's less-secret secrets, the White House announced Friday morning that President Obama intends to nominate Sen. Max Baucus, D-Mont., to be the next ambassador to the People's Republic of China. 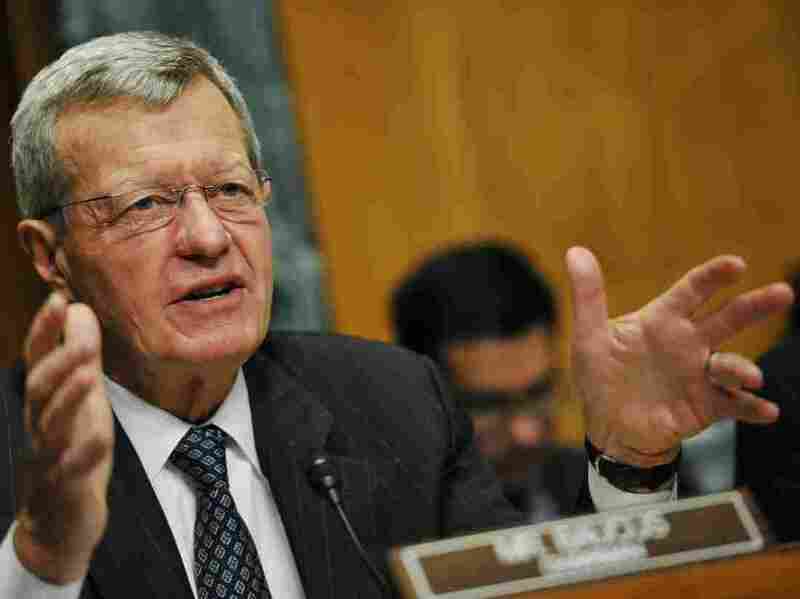 The 72-year-old Baucus has been in the Senate since 1978. He is chairman of the Senate Finance Committee. If confirmed, Baucus would succeed Ambassador Gary Locke, who said late last month that he was stepping down to return to his family in Seattle. Last spring, Baucus said he would not seek re-election in 2014. His early departure would give Montana Gov. Steve Bullock, a fellow Democrat, the chance to appoint a replacement who would serve the remaining year or so of Baucus' term. According to the Billings Gazette, Bullock's choice very likely could be Lt. Gov. John Walsh (also a Democrat). Walsh has already said he'll run for the Senate next year. If he gets appointed to the seat, that could give him an advantage over the likely Republican candidate, Rep. Steve Daines. Control of the Senate, of course, will be up for grabs next year. Now, the Democratic caucus has 55 seats to the Republicans' 45.